Matt Ryan needs to turn back the clock and play like it was 2016. The Falcons went from the most prolific offense in the NFL to an uninspiring middle of the pack. But perhaps more importantly, the Falcons need to take advantage of their speed. 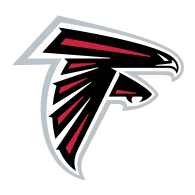 Devonta Freeman and Tevin Coleman need to be involved in the passing game as much as on the ground, and Julio Jones and Taylor Gabriel need to be given opportunity on short routes in space to help neutralize the daunting Rams pass defense and take advantage of the Rams shaky run defense. In particular, Jones is finally completely healthy, being cleared from ankle and rib injuries. But even with the injury he was streaking over the last 6 games of the season with 109.7 yards per game on 10.6 yards per target. Carrying that momentum into the playoffs will be critical, in light of Ryan’s less than inspiring play. The truth of the matter is that the Falcons defense didn’t develop as much over the last year as was hoped. There were certainly glimpses in 2016 of the Falcons defense trending up leading to perhaps unreasonable expectations. But regardless, they’ve still managed to the 8th ranked scoring defense, keeping opponents to 20 or less points 9 times this season. And with the issues surrounding Ryan’s play, that’s the primary reason why the Falcons made the playoffs. But the key for the Falcons defense in the Wild Card will be weather they can contain breakout MVP candidate, Todd Gurley. Although the Falcons run defense is ranked in the bottom half, they still managed to limit rush yards to just 104.1 per game over the season, but perhaps more encouragingly, was even better in the second half of the year, allowing just 93.6 rush yards per game. Importantly, in light of Gurley’s ability to make guys miss, Dontari Poe and Grady Jarrett will need to disrupt Gurley upfront before he gets downhill to avoid giving up big chunks of yards. And if he does get loose, it’ll be up to Deion Jones to step up as he’s done throughout the season. Both Jared Goff and Todd Gurley have had an amazing turn around, but what’s most impressive is that the Rams were dead last in terms of scoring last year, and now have score more points than any team in the NFL. Was it new head coach Sean McVay? It’s hard to say, but that’s an incredibly impressive achievement in just one year. With a top ten passing and rushing offense, the Rams will be tough to stop. Goff’s favorite target, Robert Woods is fully healthy, and Sammy Watkins provides a constant threat to take the top off the defense. But clearly, the number one offensive weapon here is Gurley. Gurley is averaging the 3rd most rushing yards per game (87), most rushing TDs per game (0.9), 2nd most receiving yards per game (52.5) and most receiving TDs per game (0.4). In short, he’s been spectacular and should be the league MVP. And if he hits these averages against the Falcons, it’ll be tough for the Falcons to catch up. Aaron Donald is one of the best defensive players in the NFL, and the Falcons will likely be without guard Adam Levitre due to injury. Ryan has been holding on to the the ball too long this season, which is in part responsible for his decline to mediocrity. But if continues that trend in the Wild Card game, it’ll make for a very long day. If there is a weakness in the Rams defense, it’s on the ground. If Freeman and Coleman can keep moving the chains, the Rams may have to be more aggressive on offense to compete. It’s a matchup between the most prolific offense of 2016 and the most prolific offense of 2017. 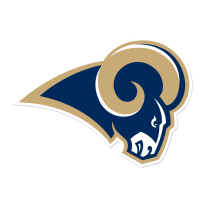 McVay has done an amazing job and will certainly have other teams scramble to get younger at head coach in light of what he’s accomplished with what was once thought to be one of the bigger number 1 pick busts in the NFL. Ultimately, the Falcons may keep this close, but I don’t see how they slow down Gurley.